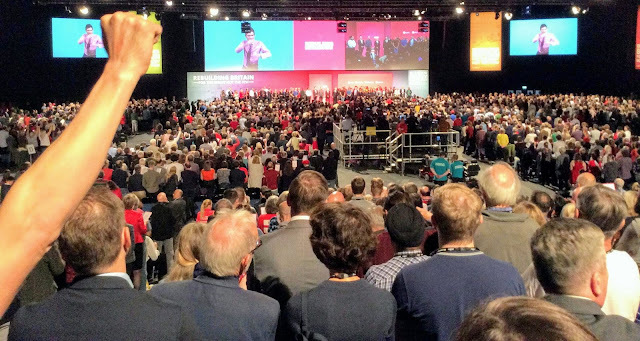 I am now back in Newham from a very much "full on" Party conference in Liverpool. I think I attended 9 different fringes on housing, the conference housing debates and learnt from all the speeches and also from all the wide ranging Q&A sessions. A lot to take in but also lots of fresh new ideas and possible practical solutions to our huge national and local housing crisis. The Labour Party policy on housing is simply transformational and I am desperate for us to be in Government in order to implement it. We need to build and enable safe, secure and truly affordable homes for everyone. While I am confident that in Newham we will make a real difference for many of our residents, we need a Labour Government in power to get rid of all our housing evils: homelessness, overcrowding, disrepair, insecurity and unaffordability. Jeremy gave a great closing speech (the best I have ever seen him deliver) and I really felt today that we are going to win the next General Election. But to be clear this is not a given and you must never, ever underestimate the Tories and the dirty tricks they will use to stay in power.